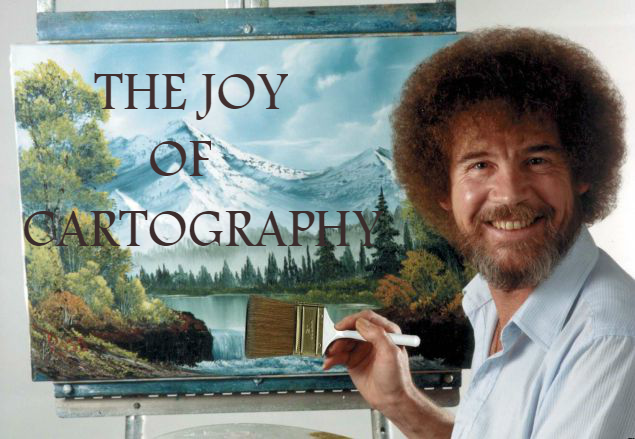 Hello and welcome to The Joy of Cartography! I’ve been gone for quite awhile now due to the pressures of summer school, but now I’m back. In this short series, I will teach through some of the major aspects of the many-faceted art of Cartography (note to self: the scanning process for the maps is awful). In addition, I will be walking through the creation of a map so you can observe the entire process. First, pick an area to draw. It can be anywhere on the globe, maybe even a section of Mars or some other planet for fun. For beginners, I would suggest focusing in on one country, preferably one that isn’t extremely large, like Brazil/U.S., or that doesn’t have extremely complicated coastlines, like Scotland/Norway (really beautiful once you’ve managed to accomplish it, though). For this guide I will be working with Egypt. It’s a beginner country to draw with some smooth borders and easy coasts. NOTE: I will cover fictional maps in a later post, but before we can get there, we need to talk over some of the basics. Second, find a map of the place online. This step may sound simple, but it is vital that you locate a good one. The two most important elements for “reverse engineering” a map are a scale (shows relative distance between points), and clear geography. The amount of maps which have vague coasts and lack of geographical features is outstanding. Once you have this, take out a sheet of paper and begin outlining in pencil the geographical boundaries. If you are a perfectionist (and a touch mad, like me) take a ruler, hold it up to the map you’ve saved, and figure out the approximate lengths of coasts in centimeters, then multiplying that number by 2, or 3, maybe 4. This will ensure that your entire map is to scale, and where the usefulness of the Scale on the map skyrockets. Nevertheless, if you do ballpark your way through the outline then the map will look fine. Presto! We’re on our way to making a map! At this point errors in drawing have been corrected and the penciled outline has reached its final form. Now you can trace over the boundaries you have created, making it clearer. This is also a good opportunity to shake the lines a bit more if you missed (or forgot, like me). That should look something like this. Excellent. A lot clearer, right? Now we can add the countries borders with other countries. Before we had just drawn part of the world, the general geography, but now we’re getting onto the political landscape. In my case with Egypt, I basically have to draw three straight lines between Libya, Sudan, and Israel. Ta-da! Now we have a basic map and some guidelines to work with. Over time you can draw more and more maps, branching out to include more countries in each drawing until you can draw entire continents (not Australia or Antarctica, a real one, with lots of countries) and possibly, the globe. Next time we’ll take a stab at the more artistic flourishes that can be done with maps. Until then, thanks for coming!